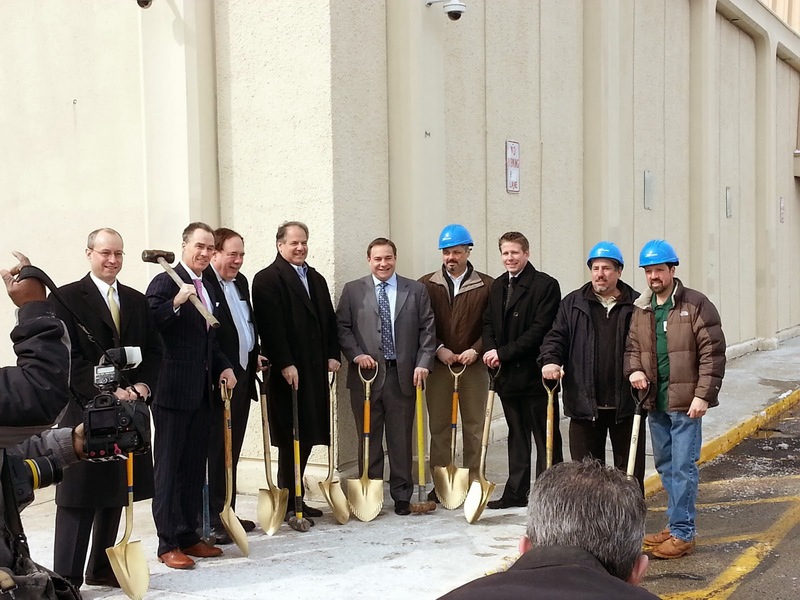 JKRP Architects | Breaking Ground at Cottman & Castor! 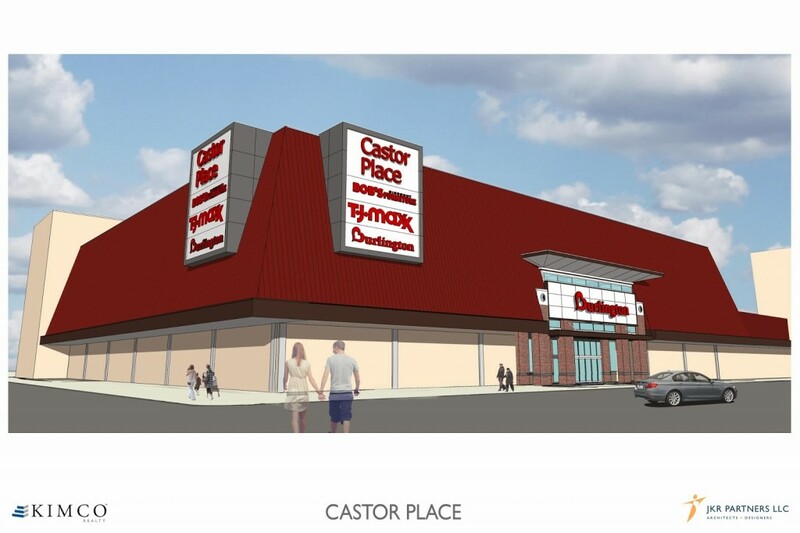 Breaking Ground at Cottman & Castor! Dave, Elisa, Katie and Mike Schmitt have been working diligently for the last few months to get the Cottman and Castor job off the ground for Kimco Realty. This morning, ground was sort of broken for the project, if you count just holding a ceremonial golden shovel as breaking ground. Other than no ground actually being broken, it was your typical celebratory event complete with all the local politicians and deal makers. There was a ceremonial sledgehammer to take down some of the existing building. Although this particular project isn’t the most glamorous, it is a pretty big deal for the Great Northeast. What was once a Lit Brothers store eons ago, then a Gimbels, and then a Clover store, and then JC Penny for a short while, then just a vacant building for a long time, is now going to be given new life as a Burlington Coat Factory, a Bob’s Discount Furniture and a soon to be TJ Maxx if everything goes as planned. 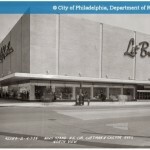 So the site has a long and storied history as a retail anchor in the Bustleton neighborhood. 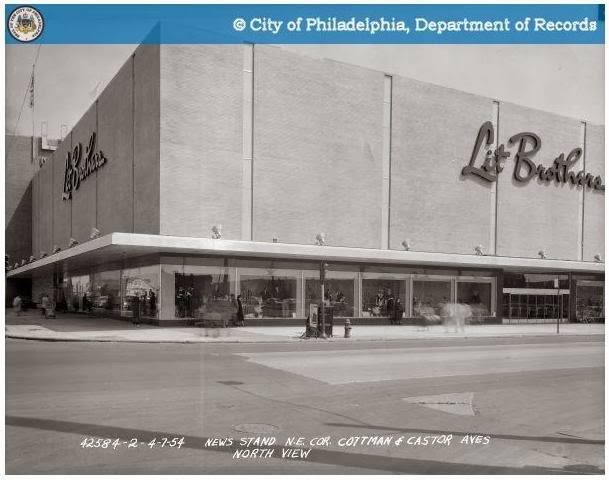 This is a game changer for this area, which believe it or not happens to have the highest concentration of retail in Philadelphia outside of Center City.